Of all the repairs that you may do around your home or business, the most potentially devastating mistakes are in faulty electrical wiring! Countless fires are caused by poor wiring techniques, substandard materials, faulty extension cords, or defective electrical appliances. The trouble and the trap lies in the apparent simplicity of electrical work. Small mistakes can cause quick and severe consequences. 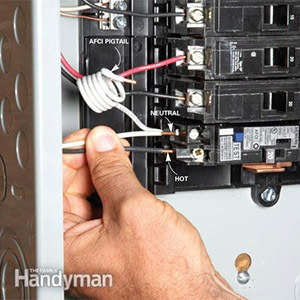 Poor wiring techniques can cause shock hazards that may not be evident until an accident happens. Whether your connection needs are simple or complex, Electrical Duties as an Electrical Company will find the best solution to provide a value added installation for your needs. your property fully up to code. Working with electricity can be dangerous unless you adhere strictly to certain rules. CAUTION: NEVER WORK ON ANY LIVE CIRCUIT.